The Tashbez Tallit is the traditional tallis, but with a new and improved elegent look. The Tashbetz tallit is woven from 100% fine wool into a unique raised grid pattern, giving the tallit cloth a micro checkerboard look. 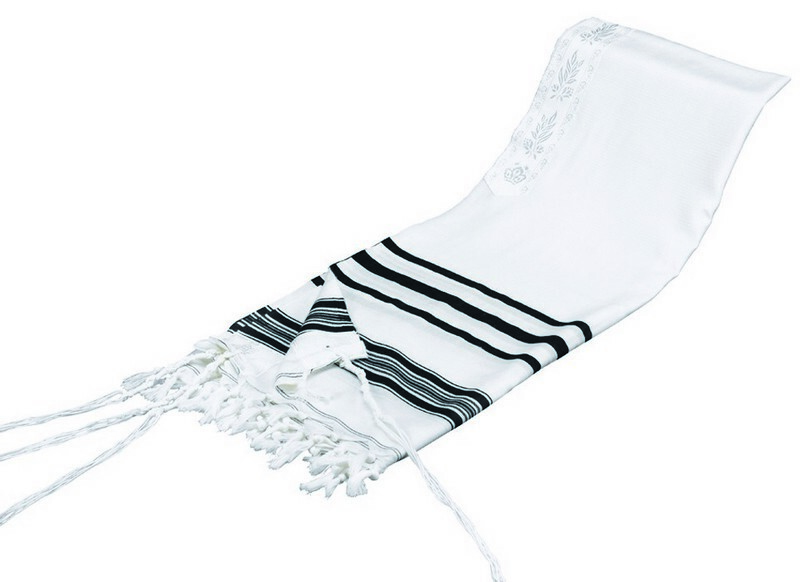 This Tashbetz tallit has the option of either black or white stripes. 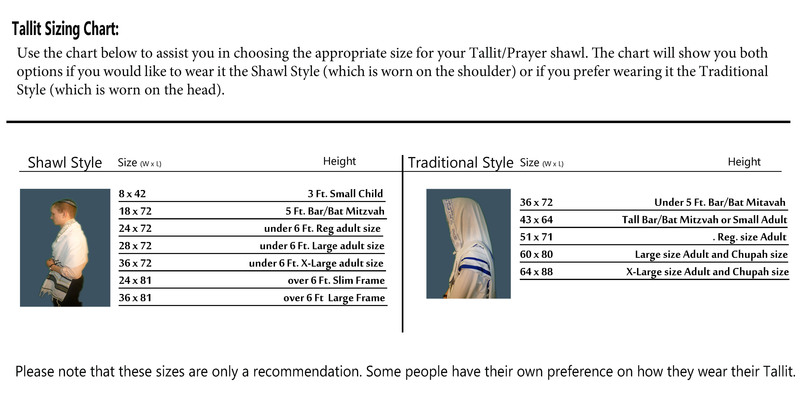 The Tashbetz Tallit has the white classic atarah neckband. All four corners are reinforced with an extra square piece of cloth.